How do you measure your content marketing efforts? Is our content marketing working and helping us achieve our objectives? What can we improve with our content marketing? How can we measure the ROI of our content marketing? To answer these questions, we need to take a look at content marketing metrics. 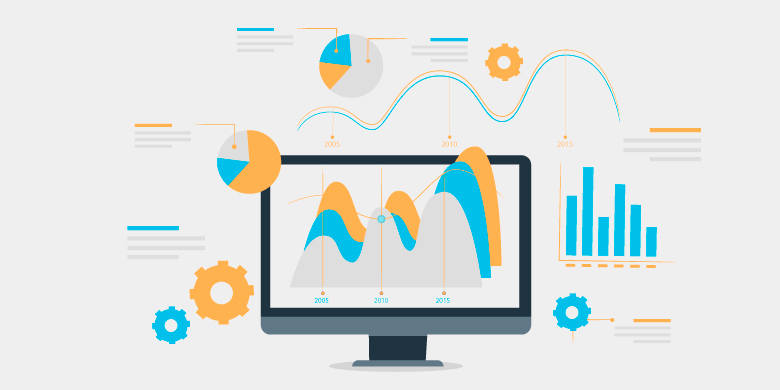 In this article, we'll discuss what content marketing metrics consist of, some of the challenges with managing and analyzing data and how using a content profile can help improve your results. What are Content Marketing Metrics? Content marketing metrics are analytics and data used to monitor and measure your content's performance. Different organizations might track other metrics depending on their goals. Web page traffic - One common measure of a piece of content's success is how much traffic it received. Keyword rankings - Some businesses create content to drive search engine traffic for relevant search terms. Keyword rankings are a popular way to measure success in SEO. Backlinks - Another measure of success is the number of backlinks that a piece of content received from external sources. Links help boost search traffic for content as well as the rest of the site. Email opt in rates - Some businesses may want prospects to opt into their email list to receive offers or to get access to more content. Measuring email opt in rates can be a good way to measure success for landing pages and other types of content. Sales - Some types of content might result in direct sales or people signing up for free trials, particularly bottom of the funnel content. Measuring the number of sales conversions might make sense if generating sales directly from content is a goal. Outbound clicks - The goal of some pieces of content might be to get people to click on another link, which can lead to a sales page or other content. Analytics data can help content marketers measure this activity. Social shares - Social shares could be a way to measure a piece of content's success and popularity. Time on page - Another measure of success is time on page or time on site. If a visitor enjoys a piece of content, then they will be more likely to read the entire article and even visit other pages on the site. Blog comments - The number of blog comments is also another way bloggers measure the success of their content. More interesting content is likely to get more comments than ordinary content. Bounce rate or dwell time - Bounce rate or dwell time can also be an indication of engagement. If someone clicks on an article and then leaves immediately, then that could be a sign that the content could be improved. Why should you measure them? Measuring content marketing metrics gives you an idea of how well your content is performing. Once you decide what metrics are important to focus on and get data, you can make intelligent decisions with your content marketing. If you discover that some types of content are generating greater engagement than others, then you might choose to create more content like that in the future. Gathering data and examining it periodically can help you conduct a content audit and improve your content strategy and marketing plan over time. Using metrics to measure content marketing success comes with many challenges and limitations. Here are a few common challenges that businesses might face when measuring content marketing success. Oli Gardener ran a 30 day experiment where he attempted to significantly increase product leads through content. To start, he dug into the analytics data for the Unbounce blog to see how well their content was performing. Despite being a thought leader in conversion optimization, Oli discovered that only 0.3% of their readers were converting into free trial users. Instead, he discovered that content marketing was largely a branding activity and that many of their users discovered Unbounce because they had heard of the company. Successful content marketing can result in brand recognition, traffic and customers through word of mouth and referrals. Once your business becomes well known, it can be difficult or even impossible to track traffic and sales back to content. Similarly, another challenge can be attributing leads to revenue. Businesses can generate leads through content, but not all of them will convert. Customers and leads might refer other people who become customers. If those conversions didn't occur on your website, they might be harder to track. Data collection of impactful data can also be a challenge. The fact that most people utilize multiple devices and browse the web anonymously can make it harder to track leads effectively. Some leads might convert later, or they might opt in at a later date with a different email or from a different computer. Your conversion rate, for example, might seem lower than it actually is if people signed up for your email list with two different emails and only purchased using one of those emails. Traffic data and sources can also be obscured through secure web browsing and other protocols designed to protect user privacy. Finally, analyzing impactful data can pose additional challenges. Looking at some metrics alone might not paint an accurate picture of how successful your content is. For example, a piece of content could go viral and generate a ton of traffic. While the traffic metrics might look better, that piece of content might not generate several new customers. Let's say you created a great blog article that drove a lot of leads to sign up for your email list. While opt-in metrics and engagement rate might look better, some of those leads might not convert into paying customers as well as other leads. A content profile (also known as content mix) is defined as the types of content that make up your content inventory and how much of each content type is included. - What content formats will you use? Will you be using video and visual content? Or will you mainly focus on articles and blogging? - How long will your content be? Will you primarily be creating long form content or short content? Or will you be doing a mix of both? - How often do you plan on creating content? Will you be blogging each day, weekly or at some other frequency? - What are your key goals with content? Is it to increase engagement, drive traffic or something else? After you have defined your goals, you can create a content profile that will help you meet those objectives. - 50-60% short form articles with tips and insights - Perhaps you decide that short content is easier to create more consistently and that readers find this content engaging. So you decide that at least half of your content will be short form articles. - 10-15% in depth, long form content - Maybe you find that long form content drives traffic, gets more shares on social media and builds authority better than short content. So you decide to do long form guides and articles periodically. - 10-15% guest posts - Allowing other influencers to guest post can be a good way to get traffic to your blog and present other authoritative perspectives. So you decide to invite a few people to guest post on your blog each month. - 10-15% relationship building posts - Maybe you decide that building relationships with other bloggers is helpful to your marketing efforts. So you might schedule a few posts each month to link out to other people's content or feature other influencers on your blog by writing about them or doing interviews. - 5-10% entertainment content - Perhaps you decide that your audience likes to be entertained and that entertaining content related to your niche drives a good amount of engagement from your readers. Your content profile may be completely different from the content profiles of other blogs. It's really up to you to decide what types of content to publish and how much. However, defining a content profile and measuring the results of different types of content can help you improve your results over time. After looking at your analytics, you may find that some types of content work better than others. You can then make adjustments by increasing the frequency of content creation for types of content that prove effective. You may even choose to eliminate types of content that aren't doing well.